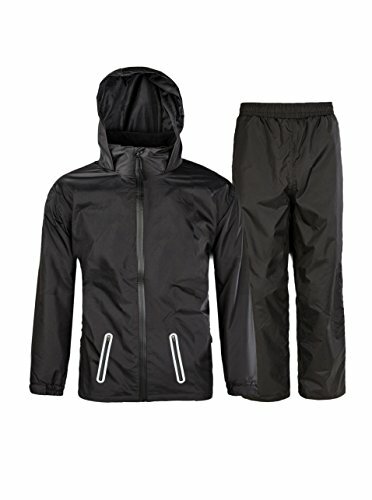 WATERPROOF & BREATHABLE & LIGHTWEIGHT & PACKABLE & WINDPROOF Rain Jacket and Trousers Set.It is a MUST HAVE that you are left dry in wet weather / rainy days. Occasions: Suitable for Indoor & Outdoor exercise like Running, Riding, Camping, Backpacking, Cycling, Mountain Climbing, Picnic, Hiking, Fishing,Jogging, Traveling, Hunting,City Walking and etc. Customer service:Send us an email if you have any problem making your purchase. Your satisfication, our promise. ADD TO CART RIGHT NOW! LETTER FOR CUSTOMERS:Considering that our customer service team has received so many feedbacks from a few buyers that they want to buy the jacket ONLY, we have launched it separately for all of you. Please pay attention before placing your order: Add "Black-suit" to your cart if you are in need of both black jacket & pants and "black-jacket" when you need the black top only. Sorry for the inconvenience this may cause. 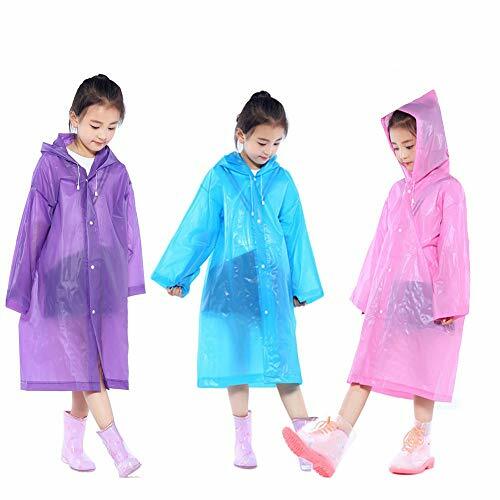 WATERPROOF:WP-Waterproof index:3000 WVP-Moisture permeability :3000.Waterproof Rainwear developed with the latest waterproof technology that wicks away moisture on contact to ensure that you are left dry in Wet weather / Rainy days.Keep your baby warm. 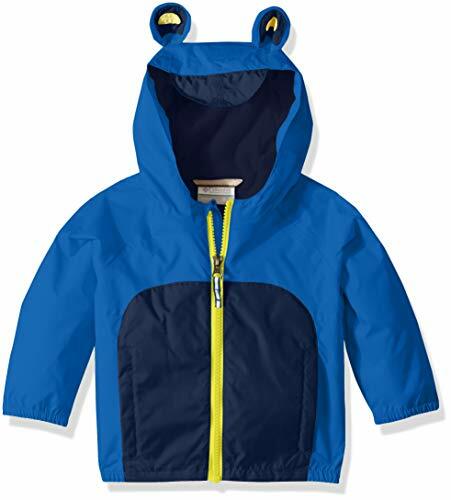 WINDBREAKER:All seam taped +WP Front-Zip + Hooded Wind- resistant unlined pullover featuring and attached hood .Keep your baby warm. Shell: 100% Polyester 228T; Lining: 95% Cotton,5% Polyester. 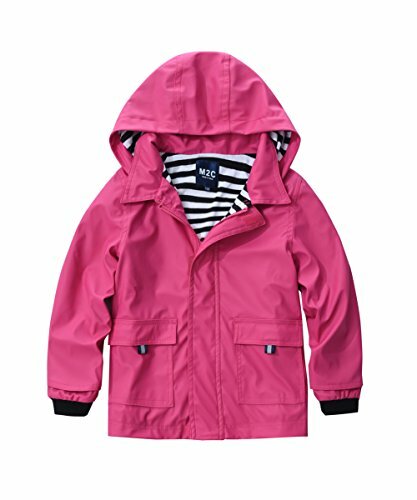 Windproof and waterproof which is suitale for drizzle and light rain days. The jacket runs a little big, which allows wiggle room. -Design:hood,long sleeve and zip up. -Pattern:cartoon car print or colorful dinosaur animal print. -Color Type: 5 Popular Color. -Package content: 1 x Windbreaker. -Almost suit for All Season. 1-Color may diffferent vary slightly due to different screen display. 2-Please allow 0.5-0.8inch/1-3cm error due to manual measurements. 3-Suggested height are only samples for reference.Please note. 4-Feel Free To Contact Us Anytime, We Will Try Our Best To Provide A Great Shopping Experience for You. 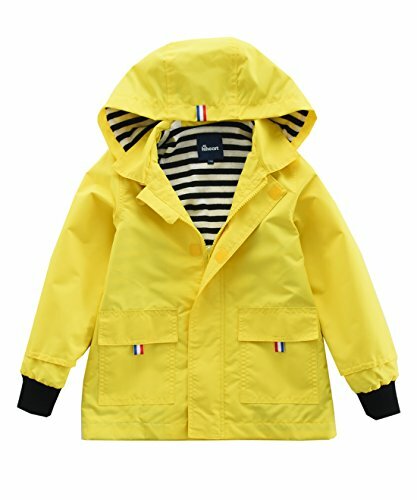 練Feactures:Toddler Hooded Windbreaker with Mesh net/cotton cloth linning and elastic cuffs design,breathable and comfy;two front side Pockets decoration,your babies can put his hands or little things in;Zipper closure,easy to put it on/off. 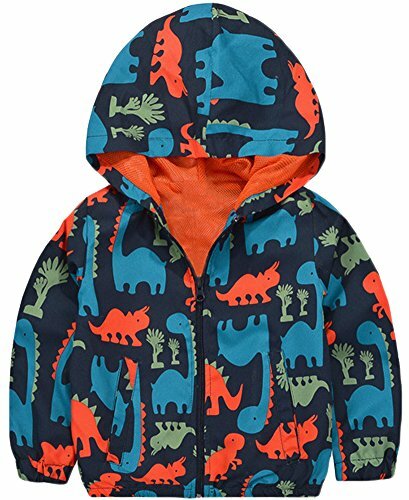 秊Patterns:kid hoodie zipper with Cool Dinosaur and Cartoon Cars Print,Toddler boy's favorite.Colorful design,make your kids more Attrative and Active in the crowed. 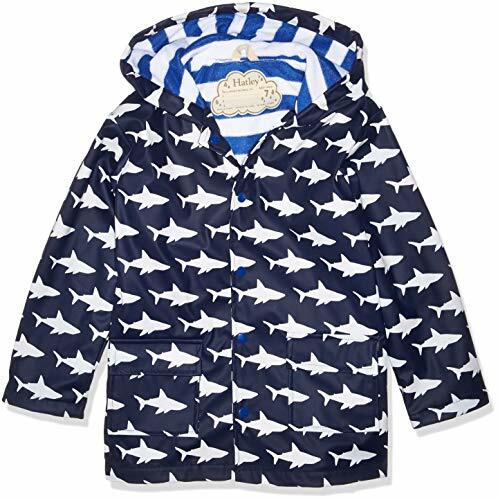 練Boys Dinosaur Jacket for Kids aged 1-5Y;casual style,Lovely birthday,easter or christmas Gift to your little hero. 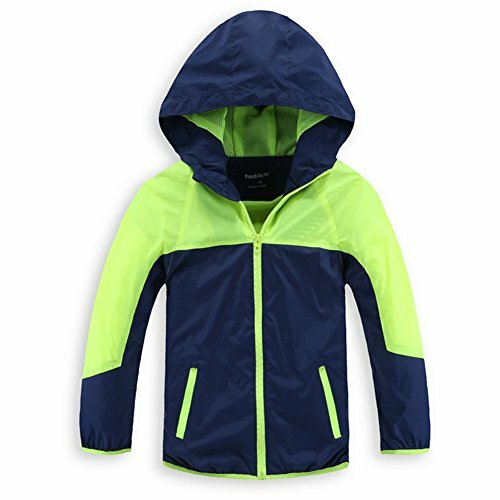 秊Boys rain jacket in Rainy Spring,Sun-protective in Summer,Windproof Coat in Fall,Winter Hood Windbreaker;Baby Jacket Coat,not only great for Daily Life,but also nice for Outdoor sports:Hiking,Camping,Running and Walking. 練Hand Washable,Do Not Iron,Dry in Shade;Please follow Ours Size Chart in our Images to Fit your kids Better. Resuable Ponchos - Made from high quality EVA material, durable, environmentally and comfortable; Non-toxic environmentally friendly materials to protect children's health. Lightwight & Portable - It is light and small after package,so that you can carry with you wherever you go. 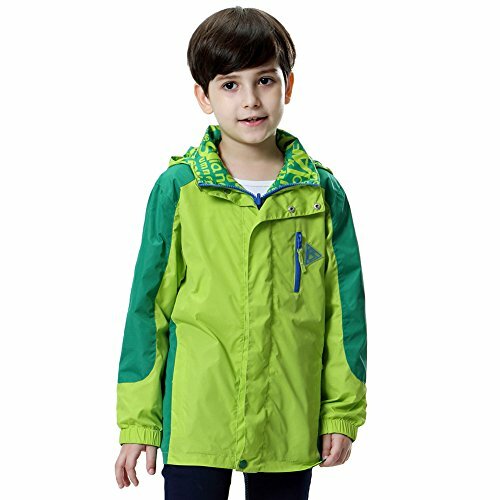 Convenient Use - It is a Rain Ponchos for kids that they can wear while carrying a backpack on the back to school or go out to play. Comfortable cycling or running. Hooded rain ponchos with sleeves - Straight Design with ABS button embed,easy to put on & off,Bring a practical experience. WATER-RESISTANT OUTER SHELL | At Western Chief, we make our coats with a polyurethane water shell, which is water-resistant! 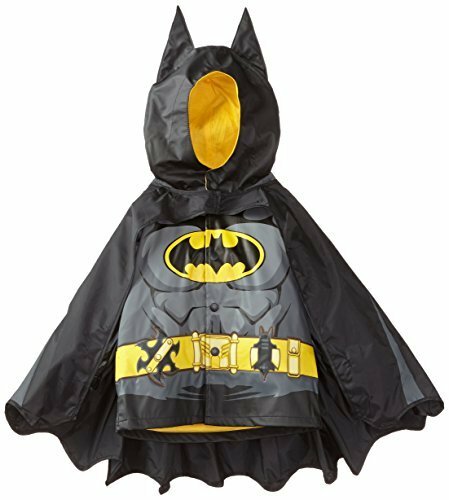 No longer will your child fear the rain! COMFORTABLE LINING | The lining of our boots is a mixture of polyester and cotton. 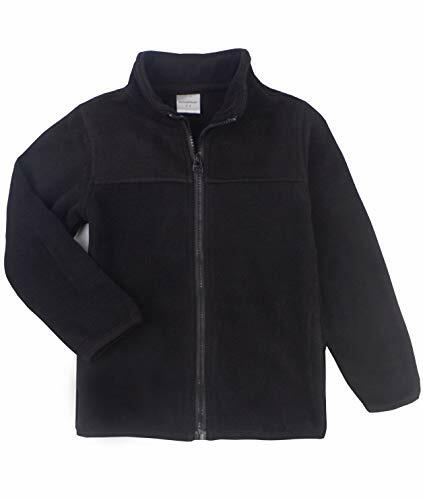 The lining is 65% polyester and 35% cotton. EASY ON AND OFF | These rain coats are easy to get on and off! Just slip in them and snap them shut! FUN PRINTS OR SOLID COLORS | We work to bring your child's favorite characters to life! There are many options to choose from. Become a little froggy, blend in with camo, or pick another option! Don't want a print? Pick a solid color! Navy is popular. EASY CLEAN | Our rain coats should be hand-washed. Do not wash in machine. Air-dry. 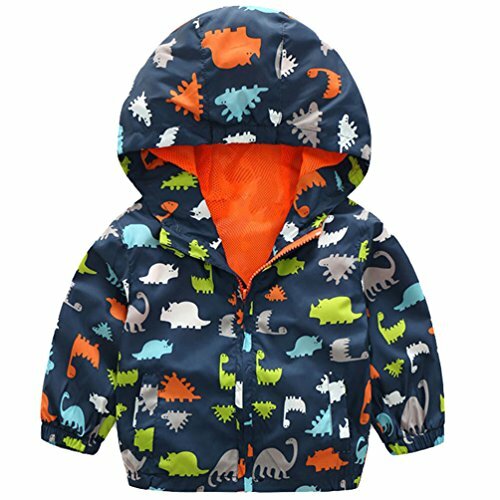 KISBINI Boy's Cartoon Dinosaur Print Zip Jacket Hooded Casual Sweatshirt is made of soft good quality fabric material,good hand feel; comfort to skin. Lightweight,windproof,breathable; hoodie and zip closure,easy to put on and take off. Cute and fashionable dinosaur print can be a plus. 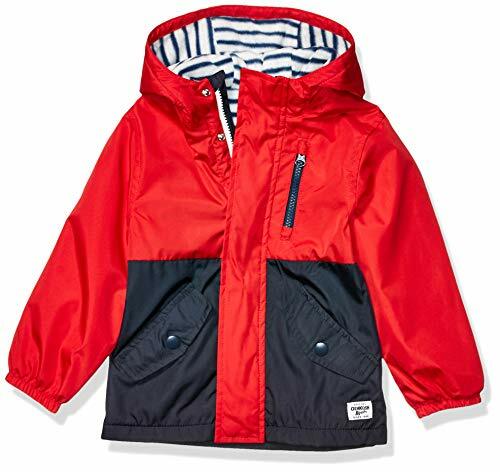 An ideal jacket for boys' sport & outdoor wear. Suitable for almost all occasions and everyday wear. 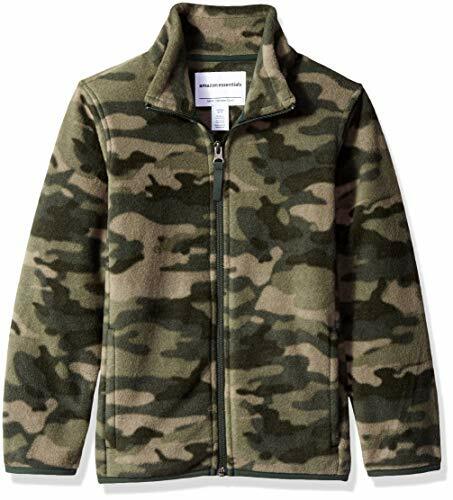 Season: Autumn / Spring Fabric: 100% Polyester Size Measurement(Inches-Lb-Year): (2T)90 : Length: 15.7" Chest: 26.8" Sleeve: 13.4" Suggest Weight: 22 Suggest age: 1~2 (3T)100 : Length: 16.5" Chest: 28.3" Sleeve: 14.6" Suggest Weight: 28.7 Suggest age: 2~3 (4T)110 : Length: 17.3" Chest: 29.9" Sleeve: 15.7" Suggest Weight: 33.1 Suggest age: 3~4 (5T)120 : Length: 18.5" Chest: 31.5" Sleeve: 16.9" Suggest Weight: 44.1 Suggest age: 5~6 (6T)130 : Length: 19.7" Chest: 33.1" Sleeve: 18.1" Suggest Weight: 55.1 Suggest age: 7~8 (7T)140 : Length: 20.5" Chest: 34.6" Sleeve: 19.3" Suggest Weight: 66.1 Suggest age: 9~10 Please refer to the size chart before purchasing.Due to manual measurement, the size could have 1-3 cm error,thanks for understanding. 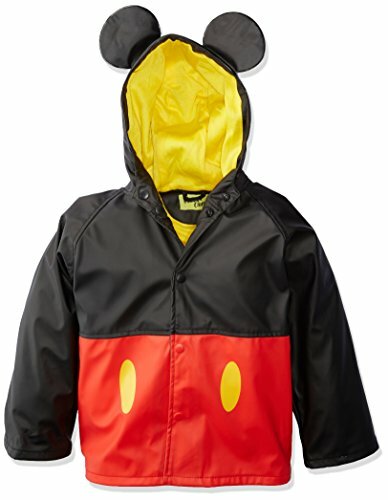 Good fun and cute rain jacket lightweight for not too cold rainy windy days. Perfect for windy weather. With cute and colorful printed dinosaurs. KISBINI is a registered trademark and the ONLY authorized seller: KISBIMBO. KISBINI is NOT responsible for other sellers selling in a different, inferior quality product. 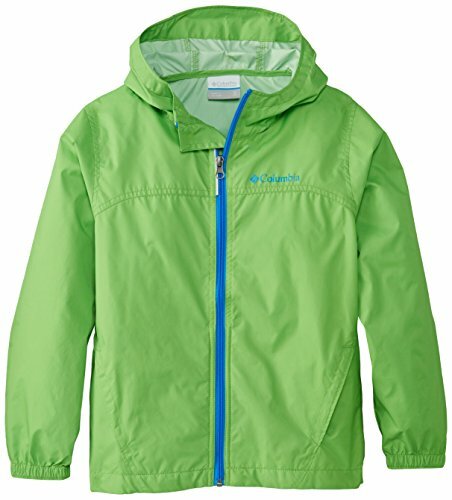 Non-detachable hood,zipper&velcro closure and rib cuff,can prevent the cold air and keep your kids warm. Two pockets in front.It's convenient to store keys,phones etc; Reflective stripe or print around pocket and back,can protect child in dark and crowd environment. 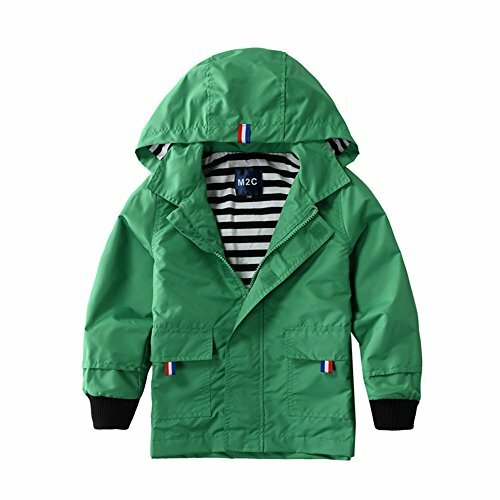 Fashion stripe lining and classic style,kids will love it.Windproof,water-resist and lightweight,it is a good choice to for casual wear and also could be used as rain gear. Garment Care: If there is only a slight stain, take a wet towel to wipe. Please hang dry in shade, do not exposed. Hand wash. This mid weight fleece lined windbreaker jacket from osh kosk is your perfect spring/summer outerwear piece. It will keep your little one warm and covered.